When it comes to your business, you already know that you do an excellent job servicing your customers. If you didn’t, you wouldn’t be in business. Great contractors, however, tend to fall into a trap of thinking that their great service automatically affords them return business. Unfortunately, this isn’t necessarily the case, because your customers can fall indifferent to the services you provide if they don’t feel a connection to you. This is why a contractor customer retention strategy is imperative. Anyone who has written you a check in the last 48 months should be greeted with a follow-up. These are the people who still have you at the top of their minds when they need work done, but they need to feel like you care. They’re also the people most likely to give you referrals to boost your business. When evaluating your customer database, you should look at how often and how much each customer spends with you to determine your best customers to retain, and then find more like them. Before you let too much time go by, make sure you follow up with a phone call to inquire about your customers’ experiences. Email surveys are a great way to touch base, too, and you can get great, honest feedback from those who choose to fill them out. Don’t undervalue the appreciation you can receive from sending simple thank you notes to your customers, especially when you send them directly through the mail. These days, an actual hard copy piece of mail can go a long way in creating a relationship, particularly when it isn’t sales-based. What’s the Most Effective Way to Touch Your Customers? It can be incredibly difficult to sell people on your greatness without being salesy. Your contractor customer retention strategy needs to include ongoing emails and mailings which are both quietly boastful and informative. You’ll want to offer helpful tips and information that your readers will find useful; too much talking about yourself can land your newsletter right in the trash. Simple reminders can nudge former customers to contact you for future service needs, and you have to ask for referrals in order to receive them. 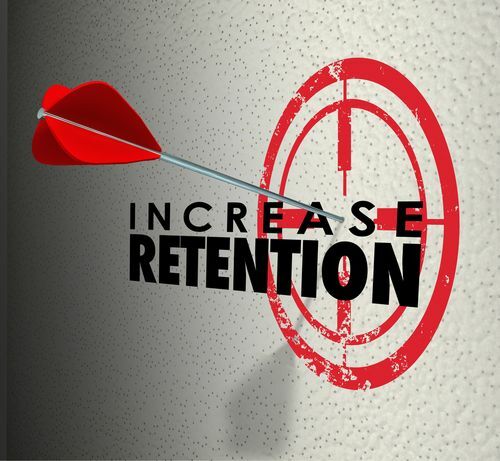 Here are some example contractor customer retention programs that are successful for our clients.